Nado’s reconstructive artworks are crafted with all original parts of vintage typewriters, including brands such as Underwood and Royal. 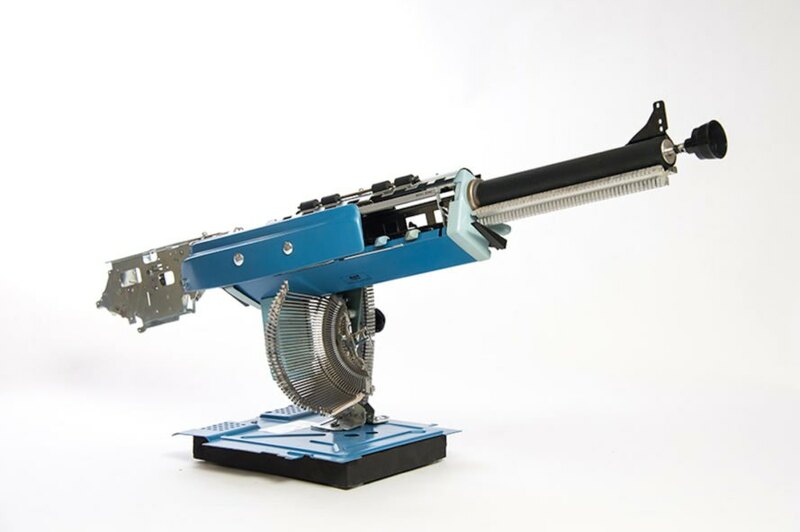 Though startlingly realistic, these steampunk-esque guns are non-functional. The assemblage artist has also worked with other mediums, most notably in his Seamstress Series where he transforms vintage sewing machines in sculptures reminiscent of workingwomen of the post-war era. 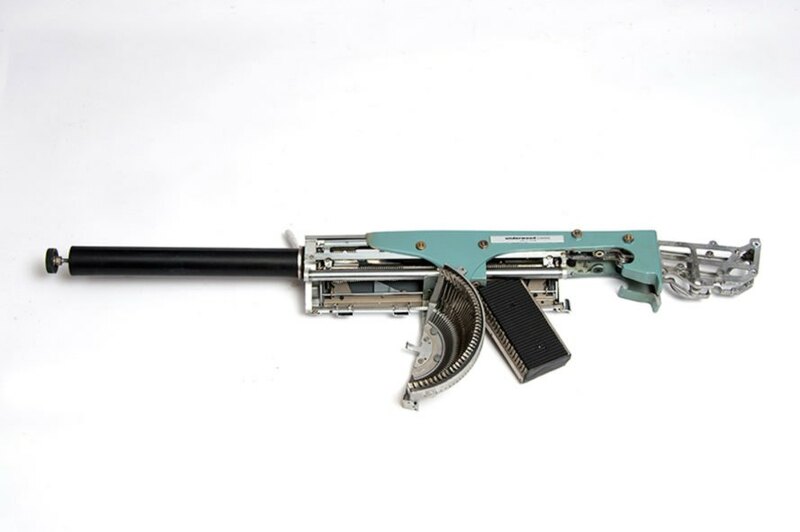 The Art of War takes on new meaning in Canadian artist Eric Nado’s evocative typewriter-guns. 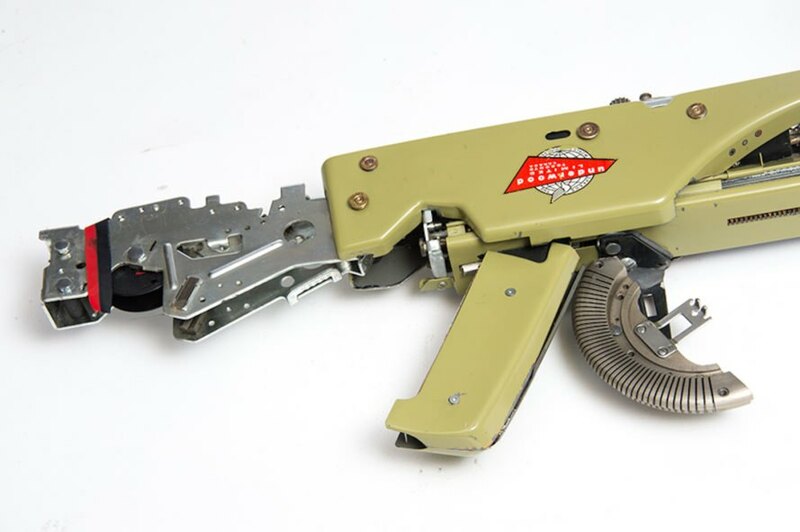 Inspired by the old adage “the pen is mightier than the sword,” these beautiful and futuristic Typewriter Guns are fully recycled from colorful vintage typewriters. These powerful pieces explore the impact of words, over arms, in shaping history. Nado's reconstructive artworks are crafted with all original parts of vintage typewriters, including brands such as Underwood and Royal. Though startlingly realistic, these steampunk-esque guns are non-functional. "The sound of the keys evoked, for me, the sound of guns going off. It is this memory that initiated in me, years later, a new obsession, fueled by what were now years of experience in technical manifestations of art,” he said. 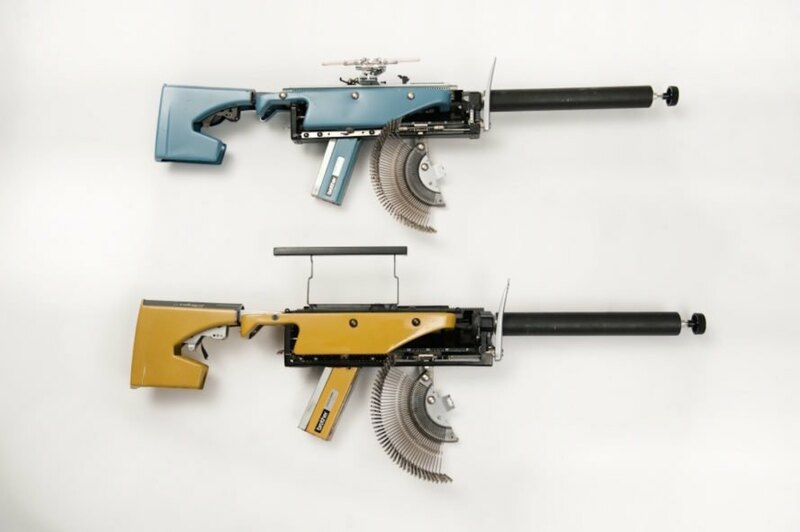 "I wondered, could it be possible to transform these evocative machines into representations of a gun arsenal? 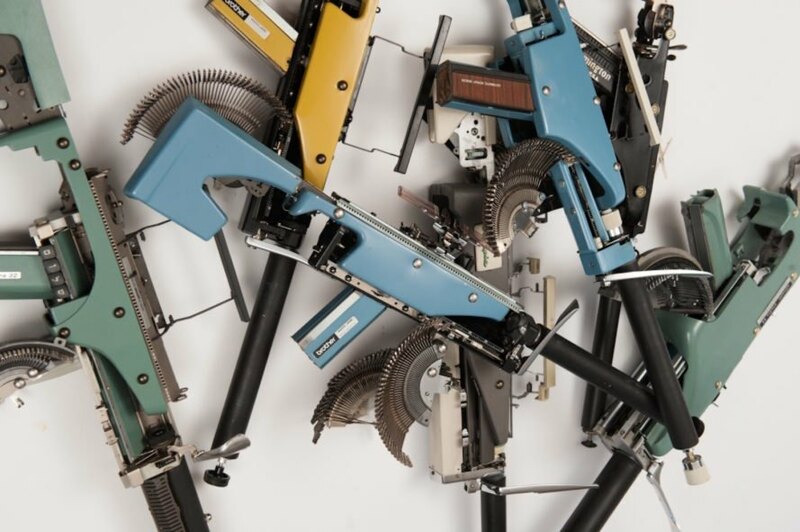 My intuition was that it could be done and the objective was to do so by deconstructing and reconstructing solely the pieces of one typewriter at a time, making each and every gun an art piece with a history in itself."